It's important to remember that beer, when you come right down to it, only requires four ingredients: Water, a starch, yeast and hops. And if you ask F&W executive wine editor Ray Isle, the coolest of that quartet is the hops. Every once in a while, gazing out at the world of beer, it's hard not to throw one's hands up in the air and cry, "Good gracious, what wild fantasies these madmen have wrought!" How, for instance, is one supposed to choose between a beer made with yeast cultured from prehistoric whale fossils (Lost Rhino Brewing Company's recently announced Bone Dusters Paleo Ale) and one that includes bull testicles (Wynkoop Brewing's Rocky Mountain Oyster Stout)? In Oregon, an intrepid brewer has supposedly fermented a concoction using yeast culled from his own beard (Rogue's Beard Beer; no offense to brewer John Maier, but, blech). In Canada, a clutch of intergalactically minded marketers have launched a crisp Klingon brew for Star Trek kooks (Federation Beer's Warnog). Faced with all this, it's important to remember that beer, when you come right down to it, only requires four ingredients. Organs from unfortunate bulls or prehistoric whale bones really don't come into it. Water, a starch (typically malted barley), yeast and hops are all you need. And if you ask me, the coolest of that quartet is the hops. Hops are the female flowers of the hop plant. Hop flowers look like small, green, leafy pinecones, and, when used in the brewing process, contribute to the aroma, flavor and stability (thanks to certain antibacterial properties) of beer. There are any number of strains, and each one can contribute different characteristics to the resulting beer. Brewers most often use a combination of hop strains, but more and more "single-hop" beers are now turning up, and they're a fascinating category. So, before diving into the weirder depths of the beer world—like smoked-goat-brain ales (Dock Street Brewing's new Walker Pale Ale)—you might want to check out the range of influences that hops, one of beer's basic ingredients, can have. Citra hops, the strain that Anchor Steam uses for this brown ale, tend to give distinctive tropical-fruit notes—think guava and passion fruit. Three Floyds Zombie Dust, if you can find it, is another all-Citra beer, and a great one at that. A combination of Mosaic, Citra and Nugget hops gives this IPA a particularly potent citrus character of tangerine, grapefruit and orange. Simcoe hops give a particularly piney character to beer, along with some citrus and/or tree-fruit notes. Weyerbacher's Double Simcoe is about as Simcoe as you can get. Both Columbus and Cascade hops are used in this beer, but it's the Columbus strain that provides Hop Ottin's distinctive earthy, resiny notes. 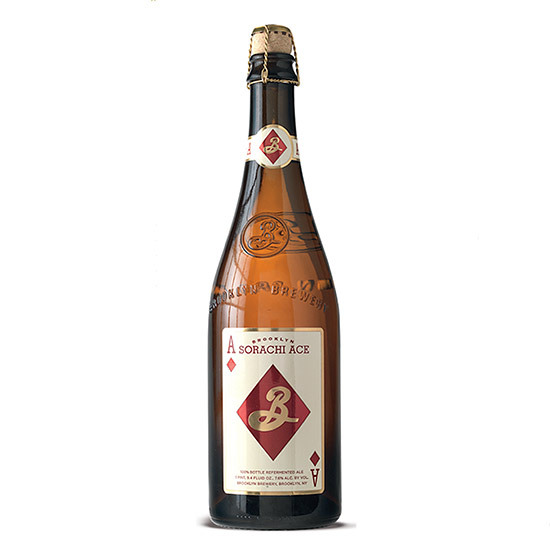 This is a saison-style beer brewed using the Japanese-developed Sorachi Ace hops. Lemon, lemon peel, lemongrass—it's hard not to notice the effect.